I had a child with someone who I think may be the wrong man for me. Got pregnant after 3 months seeing each other. We muddled through and I was anxious in the relationship but when I met my baby I fell head over heels with the baby boy, and can say I was a super mother. The relationship was abusive and I eventually ended it. I continued to be an excellent and loving mother. We eventually reconciled and have since had another baby. The relationship and abusive behaviors certainly improved but are not entirely gone. I felt ambivalent about the second baby if I am honest. Felt no major excitement through pregnancy, and breastfed through pregnancy. This is when the negative feeling towards my first born started. I had major aversion but continued to feed him as I wanted to meet his needs. Ever since his brother was born my feeling towards my son have changed. I experienced a kind of primal maternal rage almost, in the first few weeks....he wouldn’t allow me to connect with and nurture my new baby. He controls the household with tantrums and refuses to listen. I ended up on this page because tonight I lost my temper with him and picked him up roughly and was really mean to him and too rough with him. There was no kindness or love in my speech or actions and I am so ashamed as we have had a few of these instances in the past three months. I have spanked him twice - not hard, but I’m not okay with it. I know he went to bed afraid and confused and ashamed and I just can’t stand it, but I don’t seem to be able to feel that burning love I used to have for him. Most days I find him irritating, challenging and over-demanding. What has happened to my beautiful well behaved boy and our amazing bond? I have sought out counseling which I’m not finding helpful because he keeps telling me I’m a good mother, but a good mother does not behave like this. I am starting a parenting course in January but meanwhile I can’t undo what has already happened between us, and my altered feelings? I am sure my partner is part of the problem but ultimately not responsible for my behavior and I think I use harsh words with my son more than him. So sad right now. How do I change my reactions to him? I am reading all the books but nothing stops the triggers! Thanks for your thoughts. Maybe ‘head over heels’ was a poor choice of words. What I meant was that with my firstborn I got that rush of love straight away - that bonding feeling that most mothers feel for their little ones. I didn’t get the same with my second and since he was born I seem to have completely changed as a mother. Obviously my firstborn is acting out due to his arrival but I am finding the change in my maternal feelings towards him troubling - i.e I never thought I’d find it difficult to have empathy and be gentle with my firstborn precisely because I was having a good experience of mothering until baby 2 arrived. I do agree that my anger towards my partner may be coming out in response to my child or at least the things that trigger me (him not listening, mainly, or hitting me/demanding milk and trying to step on my boundaries and limits) are things from my past that make the weight of the anger completely disproportionate to whatever he is doing. Rationally I know he is only a toddler but the rage feelings just take me over. It’s not frequent but for me once is enough. Looking forward to this course I hope it helps me learn how to manage better. Hello, and thanks for telling your story here. I will do my best to help you, for your sake and for your children's sake. 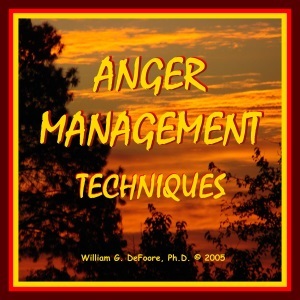 1) Some tools to help you better control your anger. Use these regularly, and you should start getting some good results. 2) Some perspectives about your love for your son and how it changed. You are not going to be a good mother to your children as long as you stay in an abusive relationship. The anger has to come out somewhere, and in your case it's coming out toward your son. You need to get out of the relationship if it's still abusive, before you can make any real progress as a mother. It's not healthy to fall "head over heels" in love with your baby. These are romantic feelings that should only be with your spouse or partner. I'm glad you're taking a parenting class. I hope that helps you to understand the appropriate kind of love that a parent feels for a child. I think you're not getting what you need in your relationship with your adult partner, and so you're trying to get those needs met with your children. That just won't work, ever. Please get help for yourself, end the abusive relationship, and practice the anger control techniques I've shared with you. And please stop hurting your child. I'm sure you're a good person, or you wouldn't be concerned enough to reach out for help. Soon, you will also be a good mother. Believe in yourself, and do the right thing. Join in and write your own page! It's easy to do. How? 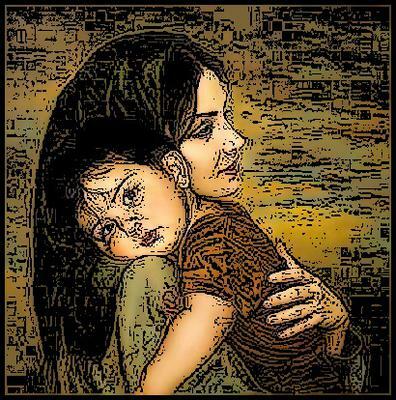 Simply click here to return to Angry Mother Stories.